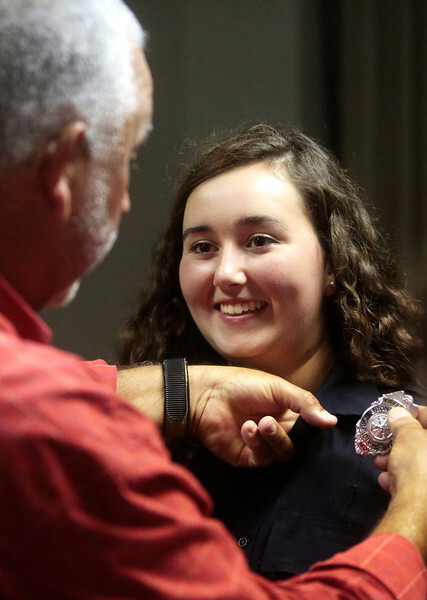 Daryl Damron pins on his daughter Hunter Damron's badge during the Boone County Fire Protection District graduation ceremony on June 29 at the Fire District main offices. Daryl was very proud to watch Hunter graduate and join the Fire District. "I think she'll grow up a lot in the next few years," he said.